Arrow “Docket No. 11-19-41-73” Photos: Welcome Back, Colin Donnell! 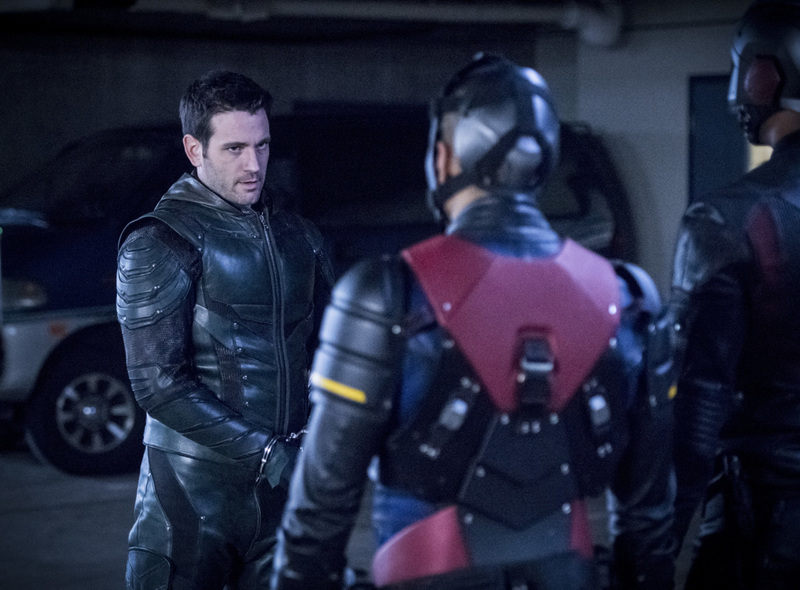 Colin Donnell‘s Tommy Merlyn shows up in some of the official photos that The CW has released to promote the Thursday, May 3 episode of Arrow… and that’s not all! Teryl Rothery returns as lawyer Jane Loring and for those of you who missed Felicity this week, Emily Bett Rickards is back with a major role. The episode is called “Docket No. 11-19-41-73” and here’s how The CW describes it. The photos follow below. Arrow -- "Docket No. 11-19-41-73" -- Image Number: AR621b_0514.jpg -- Pictured (L-R): Colin Donnell as Tommy Merlyn/The Green Arrow, Rick Gonzalez as Rene Ramirez/Wild Dog and David Ramsey as John Diggle/Spartan -- Photo: Dean Buscher/The CW -- ÃÂ© 2018 The CW Network, LLC. All rights reserved.